Dynamic climbing ropes are the most important piece of gear you have, because they keep you from hitting the ground. Their high elongation absorbs most of the shock in a fall, thereby taking the load off of your body and your anchors. 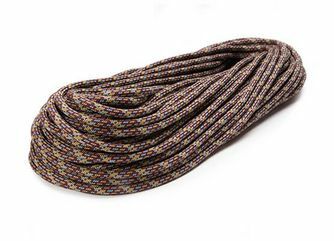 MAXIM ropes are made of 100% high quality nylon and feature a kernmantle construction with twisted nylon cores and a braided nylon cover. 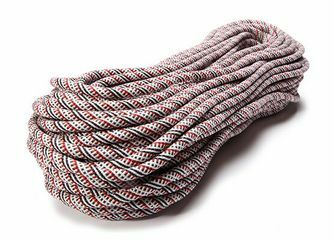 MAXIM’s long lasting dynamic climbing lines are designed as a compact rope with high-energy absorption. Each of our dynamic climbing lines offers excellent handling, superior abrasion resistance and high durability. The core of every dynamic MAXIM Climbing rope is dry treated with our special Endura DRY treatment process, including our indoor gym ropes. This is for the ultimate level of safety protection since nylon loses a lot of strength when wet. In addition, for maximum water-repellency, selected models also feature Endura 2x-DRY and have both a dry core and a specially treated dry cover. Those ropes fulfill the requirements of UIAA water-repellency. 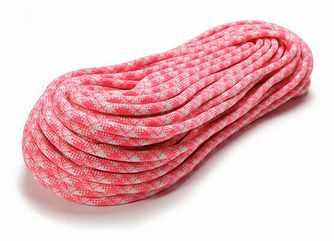 The new MAXIM PLATINUM® ropes features a permanent mechanical connection between core and cover to add additional safety if the sheath is severed. In addition, the Warning Track tracer system indicates the rope’s center and its end by colored tracers. Our Pinnacle and Glider series also feature MAXIM’s TPT (Twill Pattern Technology) which aligns the sheath yarns with the direction the rope moves through your protection. 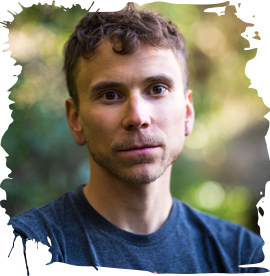 This dramatically reduces rope drag and provides for buttery rappels. The Chalk Line gym ropes also feature our Str8 Jacket technology, in which we tightly weave the sheath around a mid-sheath which grips the core. These are the longest lasting gym ropes on the planet. Dynamic climbing ropes are generally certified in three categories; single ropes, half ropes and twin ropes. All of them are certified to the European Standard EN 892 and the international standard UIAA 101. Within these standards, the rope’s construction, sheath slippage, static and dynamic elongation, maximum impact force at first fall as well as the minimum number of falls a rope has to withstand are regulated. Please find more information on climbing rope types and requirements of the standards in our Tech info section. 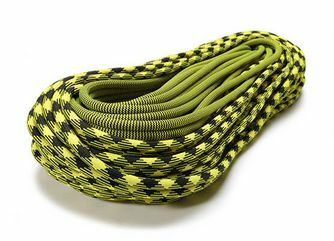 A flexible and smooth climbing rope with where the sheath and core are permanently bonded and our Warning Track tracer system for mid and marking nearing each end. 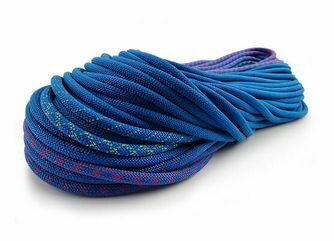 A lightweight and skinny high-end climbing rope with a triple certification as single, half and twin rope. 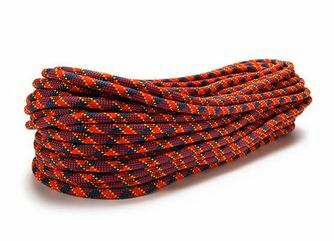 This is the choice rope of many of the world’s greatest climbers. 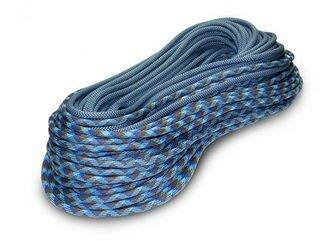 A durable and light sport/trad climbing rope in medium diameter that allows climbing long pitch routes without adding weight. 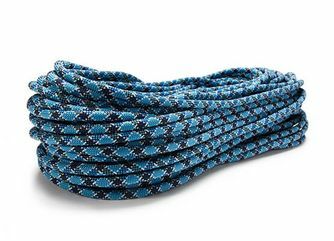 These ropes feature out TPT (Twill Pattern Technology) which aligns the sheath yarns with the direction the rope moves through your protection. 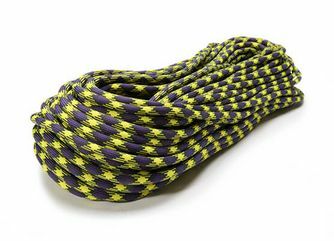 A sport/trad climbing rope with TPT sheath that is designed for ‘every’ climber use. It gives you confidence, reduces rope drag and provides for smooth clips! The workhorse of the MAXIM® brand. Apex offers a high number of UIAA falls and very good abrasion resistance. This is the perfect rope for guiding, top roping or working projects. A value engineered, entry level rope. Equinox is made to the same standards as our Apex line but were are able to keep the costs low due to high amount of white yarns used in the sheath. 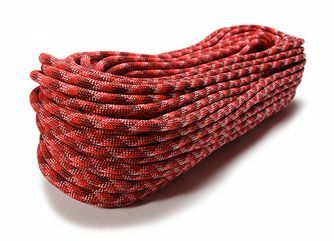 A skinny and light rope for use in rock, alpine, mixed and ice climbing. 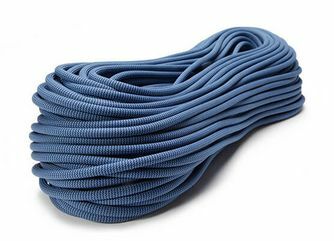 Unity is certified as a half and twin rope and has the dry-treatment and high abrasion resistance you expect from MAXIM. Our most robust and longest lasting rope. These are made for indoor, camp and gym climbing where they will be subjected to all day every day use. Chalk Line features our Str8-Jacket technology to almost eliminate sheath slippage.